Travel to Darkmeyer to help defend the Myreque from the bloodthirsty Vampyre army led by Vanstrom Klause, and hellbent on wiping the humans out for good in the fifth part of the Myreque quest series. Times have always been dark for the Myreque, but news is circulating that could plunge them into utter blackness. Vanstrom has been put in charge of wiping out the Myreque, and he has already been making himself busy: supply lines have ben cut, villagers killed, and Vanstrom himself has been seen on the outskirts of Burgh de Rott. While the Myreque are resolute, they are not strong, and they need your help once again. Investigate Vanstrom's presence near Burgh de Rott and send a message to the vampyres that humans will not simply accept slavery without a fight. Speak to Veliaf Hurtz beneath the Burgh de Rott Pub. To begin the quest, go to Veliaf Hurtz in the Myreque Base in Burgh de Rott. Ask him what's wrong, and ask him if there's anything you can do to help, this will begin the quest. Veliaf will tell you about a cave south of Burgh de Rott where a shadowy figure, thought to be Vanstrom Klause, may be. 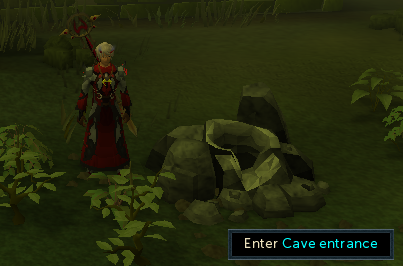 You will find the cave just south of the bank. 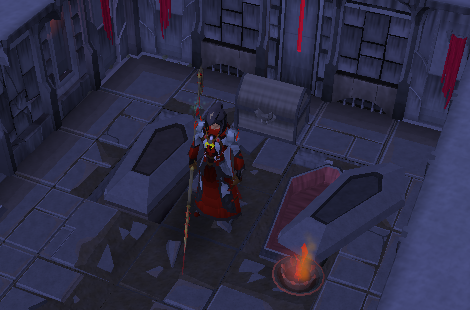 Once you enter the cave, you will find yourself within a tomb that contains a Coffin. Open it and you will find a medallion. You will lose 10 Life Points by doing so. Now take the Letter and read it. There is also a book to the south with 2 pages that you can read. Now head back to Veliaf to show him what you've found. 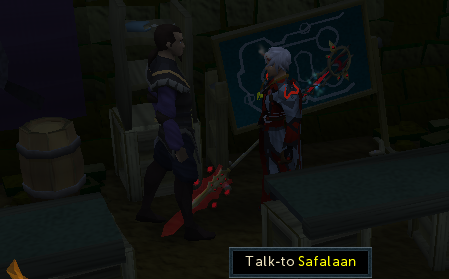 After showing Veliaf the Letter and the Medallion, have him teleport you to Safalaan in Meiyerditch. Show him the Letter, and Safalaan will ask you to go see the writer in his place. Go to the look-out spot east of the Myreque base and meet up with Vertida and Mekritus. Head out of the base, up the stairs and across into the next building. Go west from there, until you reach the barricade. Then, go south and head to the upstairs of the building with the fireplace and portrait. 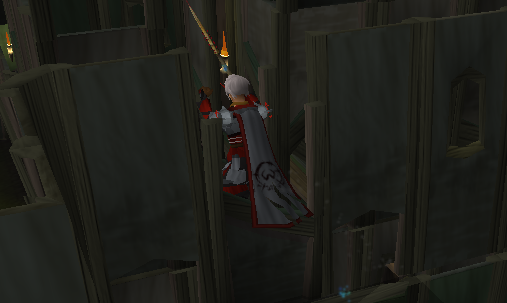 Jump the wall to get to the building next door, and go back to the ground floor. If you leave this building to the west, the meeting point will be to your west, you'll need to make your way round to the building to the north. Enter the building where Vertida is and climb up the wall. Stand at the Lookout Point. You'll see a small girl standing, so guess what you'll have to do? Why, go down to her of course! The small girl will turn out to be Vanescula. Talk to her, then try to attack her. She will deflect the attack. Vertida and Mekritus will also disappear. Talk to her again, and she will tell you she wants to help out the Myreque. She tells you about the Blisterwood Tree in Darkmeyer, that is harmful to vampyres. She tells you that carving weapons from the logs of this tree would be more powerful than the Ivandis Flail. Now she will give you a letter to take to Safalaan. 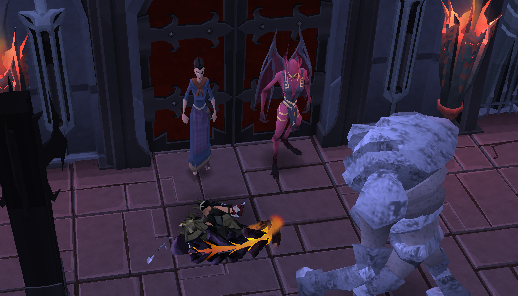 Also, vyrewatch in Meiyerditch will not attack you, because Vanescula has identified you as her personal blood tithe. Now head back to Safalaan. Now you must travel to the mysterious city of Darkmeyer to find the Blisterwood Tree. Now go speak to Vertida. Go get some Smoke Bombs, which can be found in the crates in the southern part of the Myreque base near the exit. Also, make sure you have a Hatchet on you. Now, use the following directions, given by Vertida, to get to Darkmeyer. Head out of the Myreque base, up the stairs and across into the next building. Leave this building and run through the building directly to the north. Turn right, then run north. 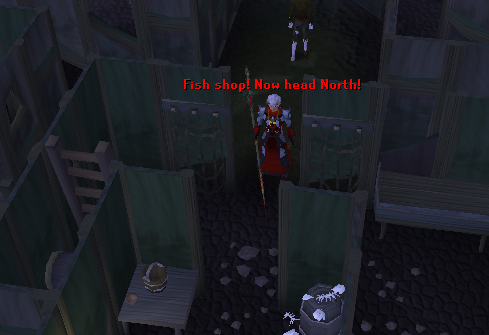 Once past the fish shop, turn left. Then, run north. Squeeze through the Gate, and you will be in Darkmeyer. Talk to Vanescula. She will tell you that the Blisterwood Tree is in the highest tier of Darkmeyer, and her protection won't apply to you here, so you'll need to make use of your smoke bombs, and find Darkmeyer clothing to wear. Take the Needle and Thread from Vanescula, so you can repair the clothing that you find. 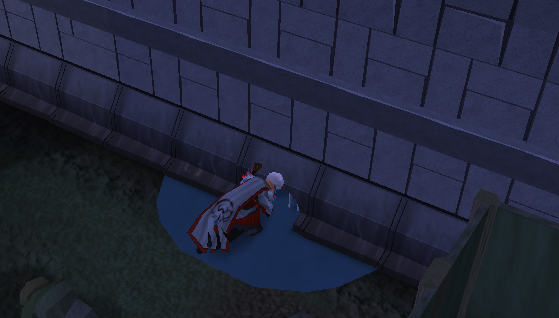 Also, avoid the Vyrewatch, or you will be teleported back near Vanescula. First, go to the building to the east. You will find a Darkmeyer Hood in the chest to the north. Head north, and then east, until you reach another building with two chests in it. In the chest to the east you will find Darkmeyer Trousers. Head north to the next building, with a chest to the east containing Darkmeyer Boots. 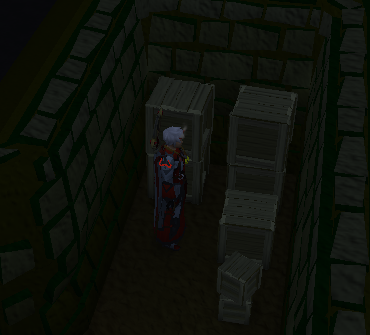 Now head a short ways north, to the next building with a chest that contains a Darkmeyer Top. 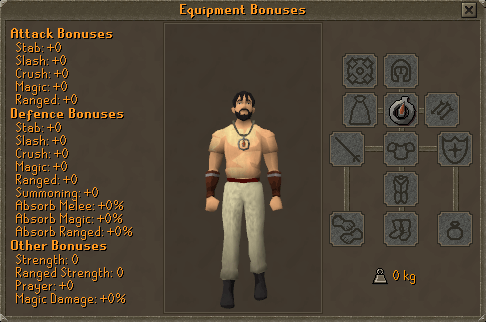 Sew up all your clothing and equip it. Go talk to Vanescula, and she will give you her blood mark so that the vampyres will not see through your disguise. 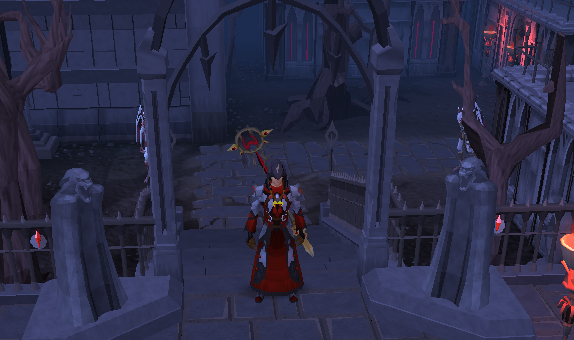 You now need to mingle with the vampyres, so that you may build a name for yourself to enter the Arboretum. Only middle tier vampyres will speak to you right now. 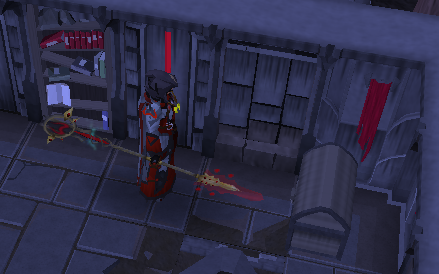 Your status gain is shown in the top left of your screen in the blood vial while you are disguised. 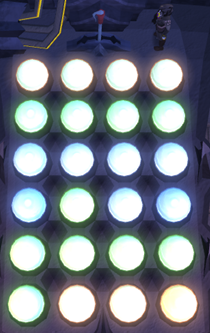 When the vial is half full, you will be able to enter the upper tier. Head north into the middle tier, and then speak to Sentinel Mortshade. Tell him your vampyre name. Now, go speak to Sanguinus Varnus, who will ask you to destroy the posters within the middle tier. Find Valentina Kaust, accept the blood from her, and drink it. Now, head to the jail cell in the northeast section, and talk to Maria Gadderanks. For any options you have to talk with her, choose the negative ones. Find Gringan Kaninus who is around the southwestern section. He will ask you to find his Bloodveld Younglings. One can be found in the western most part of the middle tier. One can be found in the same room as Valentina. Another one is in the room west of the house with the Range. The next one is just a little north of the entrance to Darkmeyer. One is by a tree just in front of the entrance to the middle tier. The last one is just before entering the Middle Tier to the west behind the buildings. You should now have enough status to enter the upper tier. Talk to Vanescula to pledge your yourself to the Drakan family, which will gain you status. 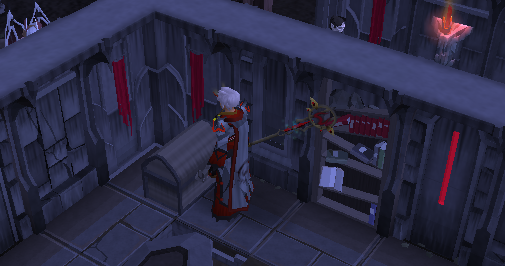 Talk to Misdrievus Vakan, and then punch the tithe sampler. Go to the building to the west to talk to the Tithe Master. 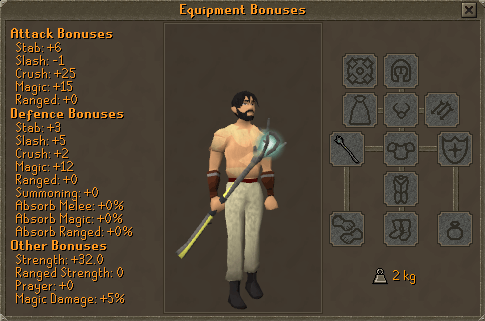 Have the tithe sampler killed for status. Speak with Sentinel Noctantine, and tell him you think Lord Drakan should be killed. 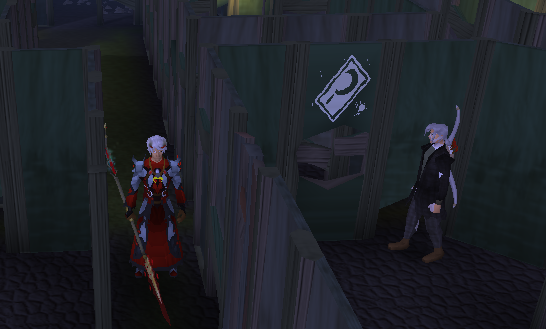 Go north and speak to Sentinel Bloodmortis, and tell him you think Lord Drakan should be removed from power. Now head further north to the jail, and tell the Jail Guard you'd like to have some fun. 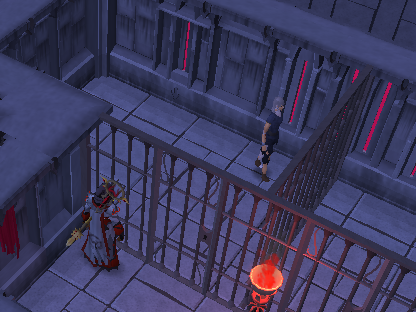 Enter the cells, and kill the Captured Meiyerditch Citizens. Each one will give you 2 status. After that, you should have enough status to enter the Arboretum. 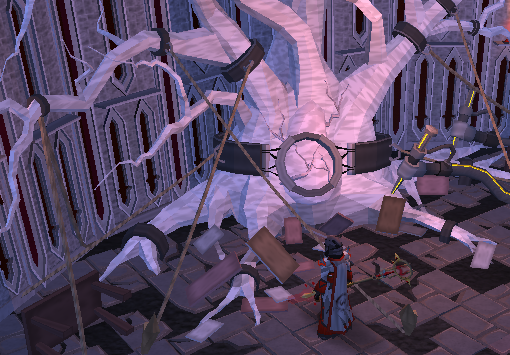 Once you have completed all the puzzles, the tree may now be chopped. Chop it, and you'll receive three Blisterwood Logs. A cutscene will follow. 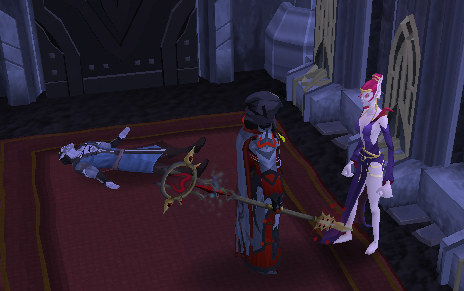 When you leave the Arboretum, you will find Ranis dead. Talk to Vanescula. She will have to blame the Myreque for the death of Ranis, so now you need to go back to warn them. Vanescula will enchant your medallion so that you can teleport back to Darkmeyer. Then she will teleport you back into Meiyerditch. Go to the Meiyerditch hideout, and talk to Vertida. Tell him about what happened in Darkmeyer. He will give you Holy Water to use. After that, take his knife, get two sickles from Kael, and then fletch yourself a Blisterwood Polearm, Blisterwood Staff, and Blisterwood Stakes. Now you must prepare for the fight ahead. Note: If you die, your grave will appear outside of the building that Vanstrom is in. 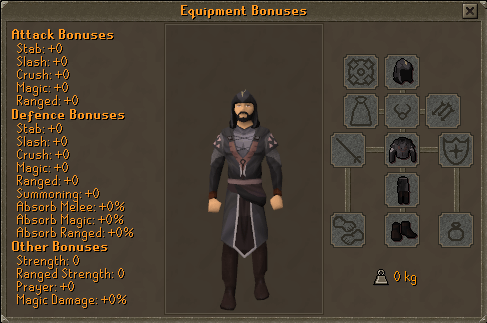 Get some good gear against magical attacks, such as Black D'hide or Karil's. 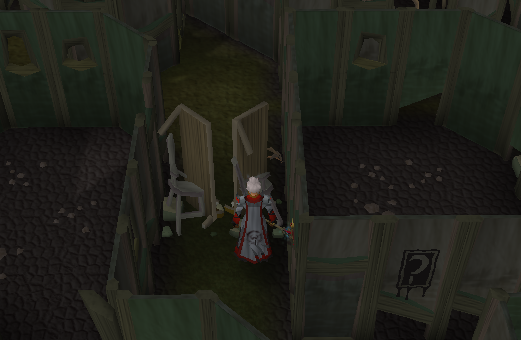 You'll want Sharks, Rocktails, Or Saradomin Brews and Super Restores. You don't have to bring all blisterwood weapons, you may bring whichever one you prefer. Go to the building before the jail in the upper tier. Go inside and fight Harold, when he is almost dead, use the Holy Water given to you by Vertida to finish him off. Now enter the next room to face Vanstrom. During the fight, he will shoot magical attacks at you if you are far away from him. 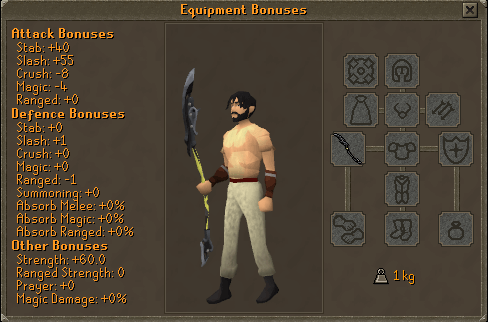 If you get close to him, he'll melee you. After you do some damage he will reveal his true form. Sometimes he will teleport into the middle and say "Look into the darkness", when he does this, do not look at him, or you will be hit up to 5000 damage. He will also fly up in the air at times, and when he does, he creates blood spots on the floor, that if you stand on, deal hard magic damage. The best way to avoid this is to run around the room, and not stand in one spot, while attacking him and running away. He can also sometimes freeze you for a few seconds. 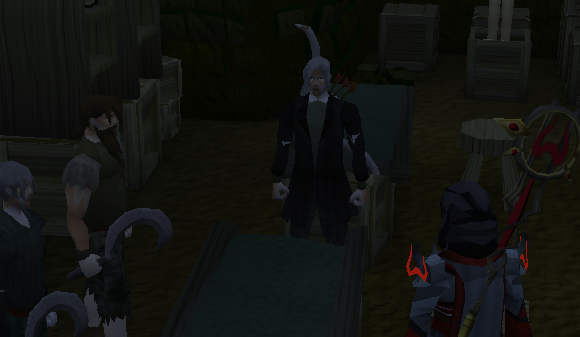 Before Vanstrom dies, he will summon Bloodvelds to fight you. Vanescula and Sarius will arrive. 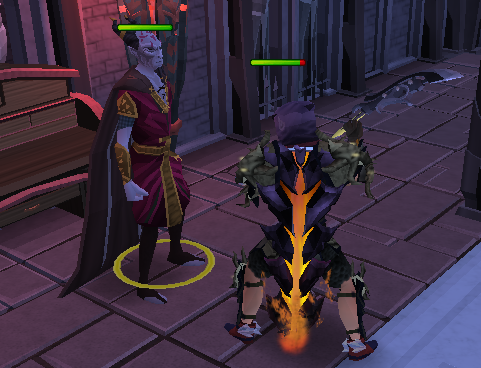 Vanescula allows you to use her powers to fight the Bloodvelds. 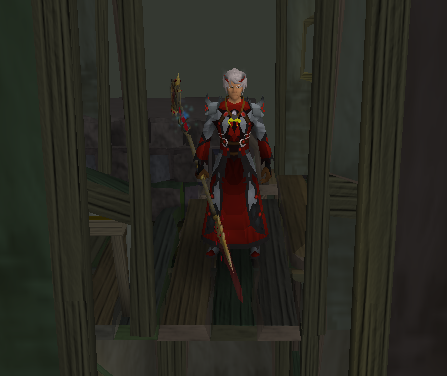 Vanstrom Klause is level 98, the first Bloodveld is level 98, and his healer Bloodvelds are level 35. After defeating them, Vanescula will destroy Vanstrom's desk. 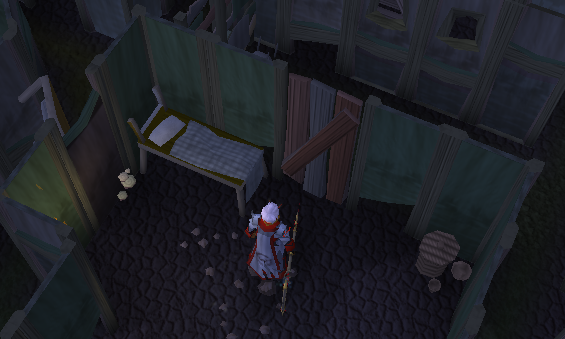 After talking to Vanescula, go to Veliaf at the Burgh de Rott hideout. Talk to him to receive your reward. 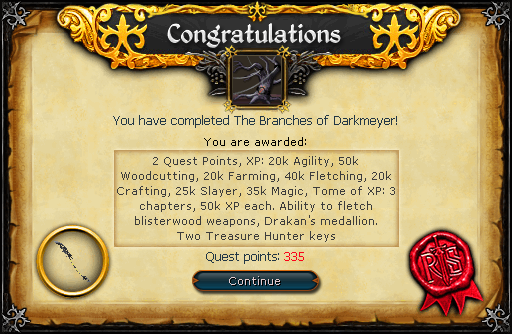 Drakan's Medallion provides teleports to the following places: Barrows, Burgh de Rott, Meiyerditch, Darkmeyer, and the Meiyerditch Laboratories. The Medallion has ten charges. 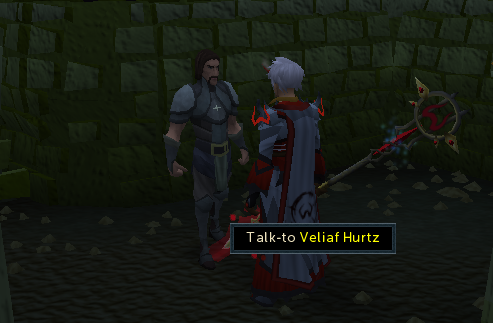 [^] Talk to Veliaf Hurtz in the Myreque Base in Burgh de Rott. [^] Enter the cave south of the bank in Burgh de Rott. Take the Letter, and the Medallion from the coffin. [^] Go back to Veliaf and talk to him. [^] Meet up with Vertida and Mekritus. [^] Stand at the Lookout Point. [^] Talk to the small girl. [^] Talk to Vertida, get some Smoke Bombs. [^] Go to Darkmeyer, using the directions given to you by Vertida. [^] Get the Darkmeyer Hood. [^] Get the Darkmeyer Trousers. [^] Get the Darkmeyer Boots. [^] Get the Darkmeyer Top. [^] Speak to Sanguinus Varnus, and destroy the posters. 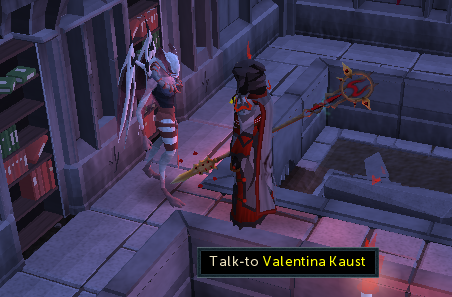 [^] Talk to Valentina Kaust. [^] Talk to Maria Gadderanks. [^] Talk to Gringan Kaninus. 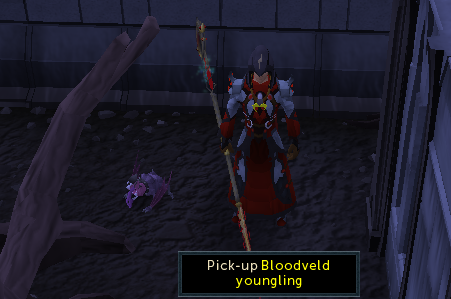 Find the Bloodveld Younglings. [^] Talk to Vanesca to pledge yourself to the Drakan family. [^] Talk to Misdrievus Vakan. [^] Talk to Sentinel Noctantine. 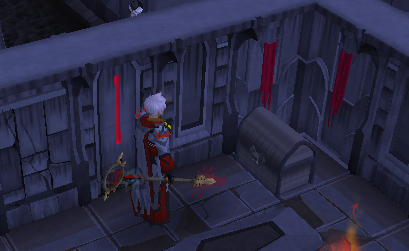 [^] Talk to Sentinel Bloodmortis. [^] Go to the jail, and kill the citizens. [^] Check the health of the Blisterwood tree. 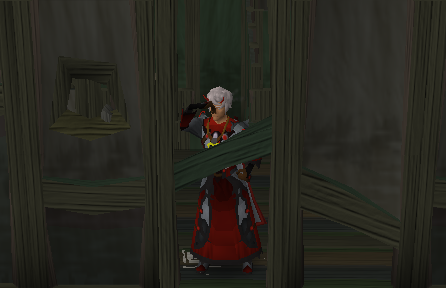 [^] Solve the puzzles to give nutrients to the Blisterwood Tree. [^] Leave the Arboretum and talk to Vanescula. [^] Talk to Vertida at the Meiyerditch hideout. [^] Get two Sickles from Kael, and fletch your Blisterwood weapons. [^] Prepare yourself for the fight against Vanstrom. [^] Head to the building before the jail in the upper tier of Darkmeyer. [^] Go to Veliaf to receive your reward.